Happy weekend everyone! 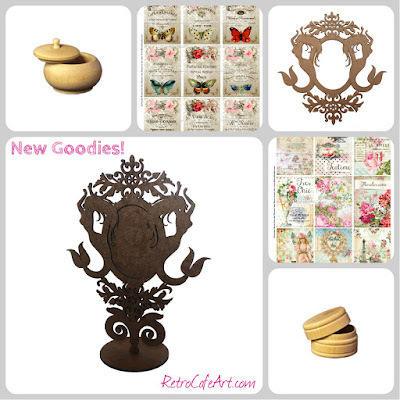 We have several fabulous new goodies in the shop! Brand new Collage Sheets, unfinished wood bits, and of course my favorite, a stunning Ornate Mermaid Frame. 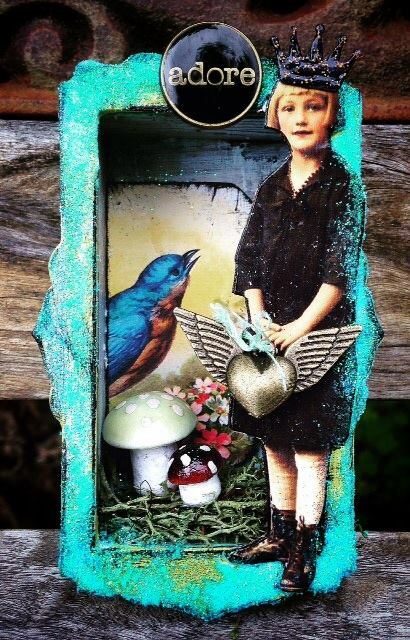 I hope you love the beauty of this unique frame as much as I do! I can't wait to dive in! Art Time with Cat Kerr! 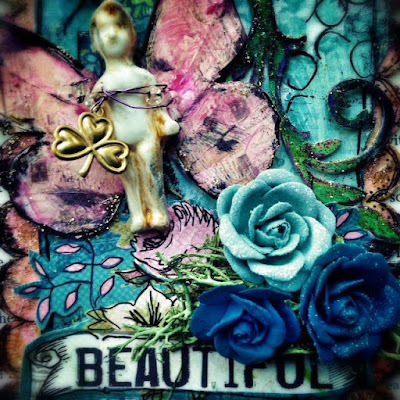 "Art Life", an exquisite assemblage piece by Design Team Member Cat Kerr! 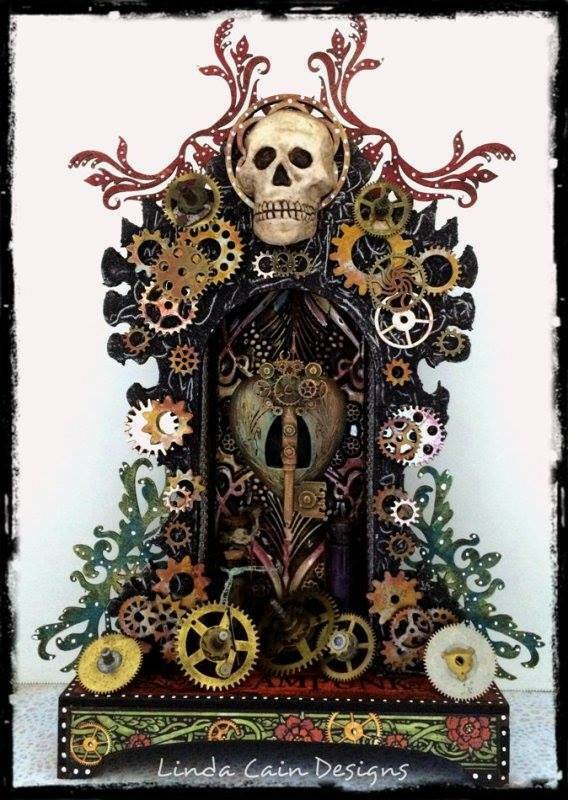 Stop by Cat's blog to learn more about this stunning piece. And be sure to watch the cool slide show video showing Cat's process too. Fantastic Cat! An incredibly beautiful postcard by Design Team Member Amy Nieman! 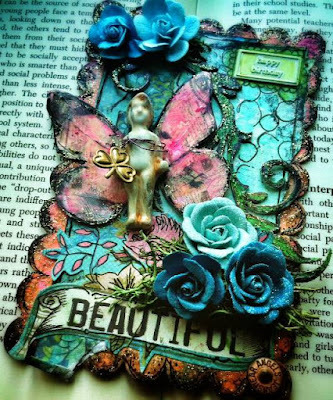 We adore the little Charlotte fairy and pretty flowers. So lovely Amy! "The Illustrated Woman" an incredibly cool free standing tattoo art influenced piece by Design Team Member Gerri Herbst! 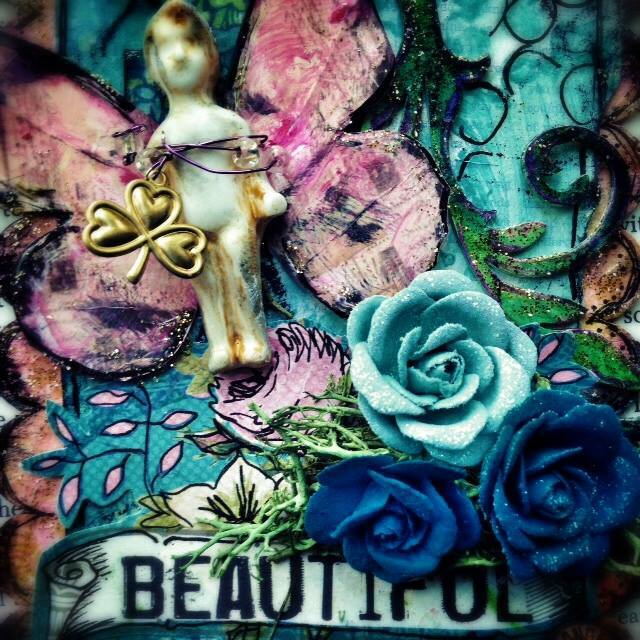 Great theme and fabulous composition Gerri! 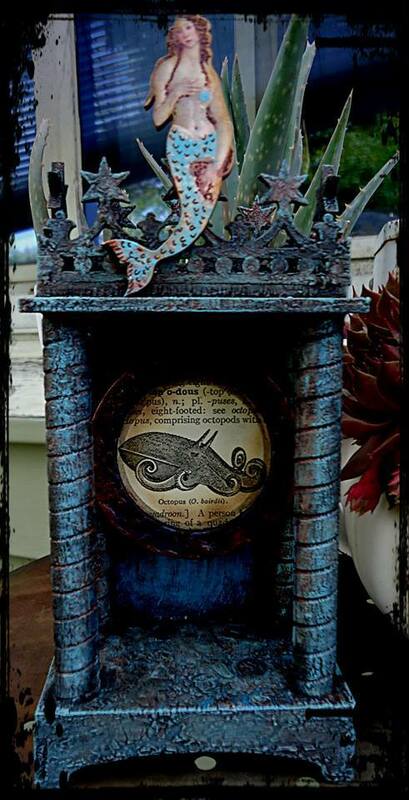 A stunning mermaid shrine by Gena Boone-Curtis! How fabulous is her gorgeous textured finish! 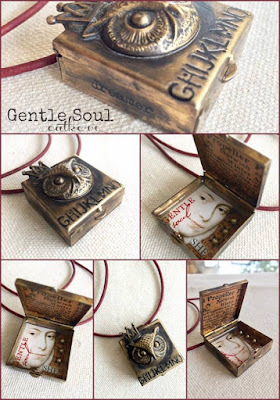 So lovely Gena! 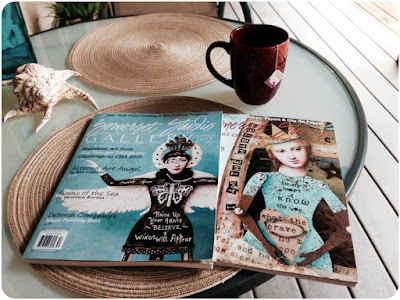 Yesterday I was relaxinng outside with a cup of tea and two of my favorite art magazines. 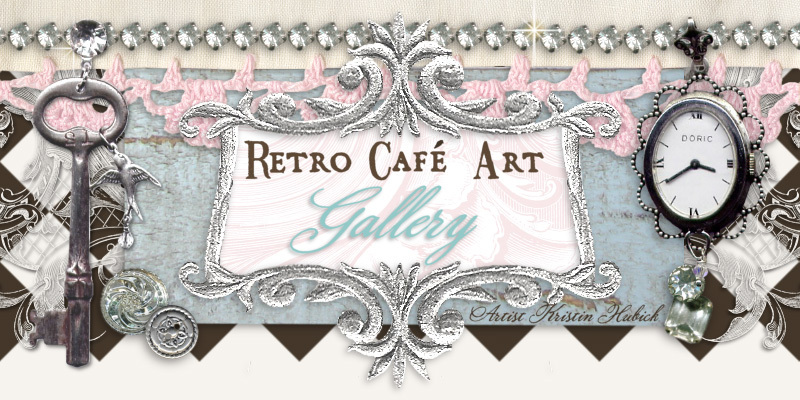 It makes me feel incredibly grateful and honored to see Retro Cafe Art Gallery kits and cut-outs as part of the incredible artwork on the covers. Of course it wouldn't have been possible without the amazing creativity of Cat Kerr (right) and Kim Collister (left) who created the gorgeous pieces featured! Congrats again to Cat and Kim! So fantastic! Happy weekend everyone! I'm so over the moon excited about the new Tiny Charming Shrines! 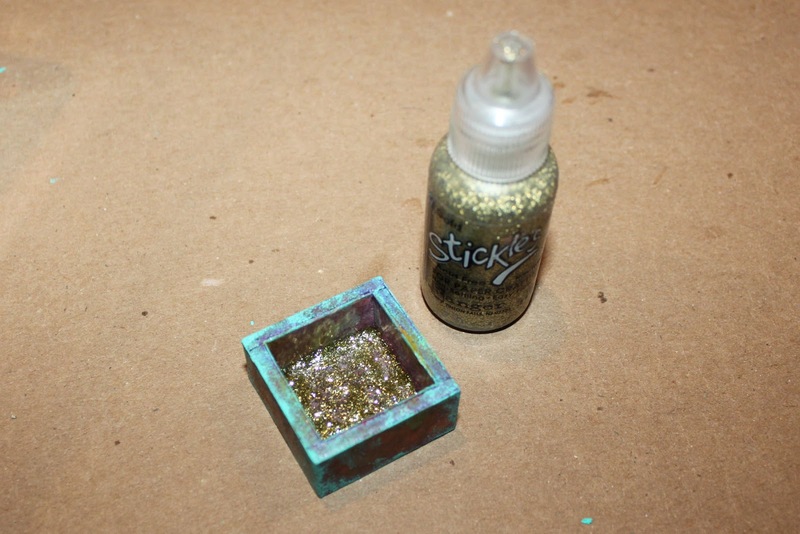 You'll notice that they are perfectly sized for "Charm Size" Collage Sheets as well as lots of Minis. And Inchies, Twincies, Microslides, and more! The smallest Shrine starts at just ONE INCH! Our smallest Shrine yet. 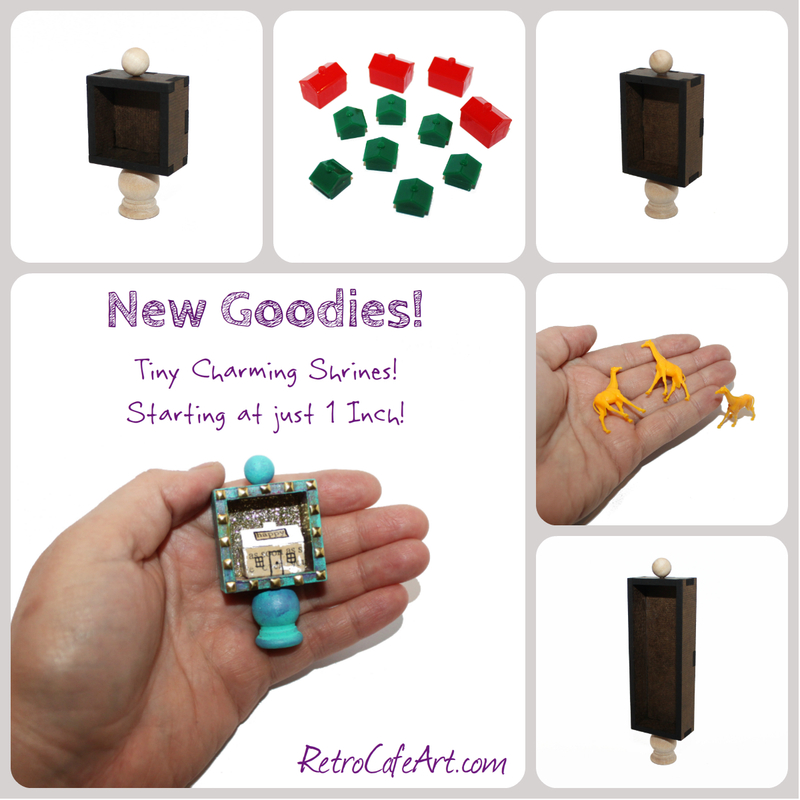 I love working small, so I had a blast designing these new TINY shrines. I think you'll love them too! 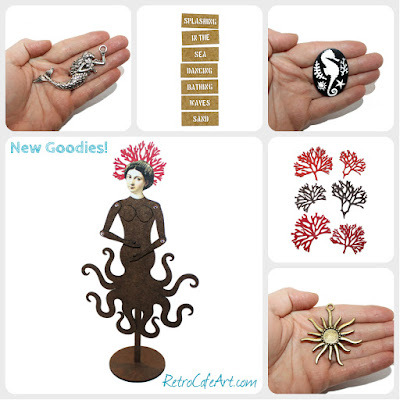 And of course there are lots of other new goodies in the shop too! 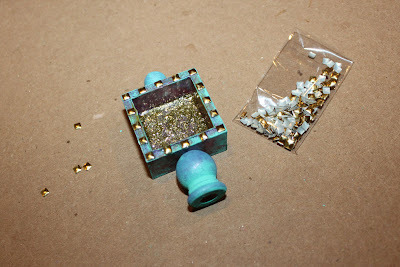 I absolutely HAD to play with the new Tiny 1 Inch Shrine. Working small can be so much fun! Tiny can be so adorable. My shrine may look large in the photo, but it fits in the palm of my (smallish) hand. These little shrines would make great gifts! I started by covering my assembled shrine with scrapbook paper, and then painting the edges with aqua acrylic paint. I also painted my included unfinished wood pieces. 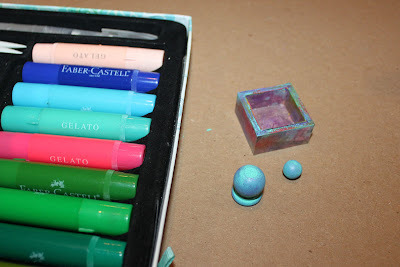 Next, I added more color with my Gelatos. I LOVE my gelatos and just recently found them after being packed away for a year. I was so excited! I placed tiny 3mm Square Brass Decorations around the edges of my shrine. They fit perfectly! 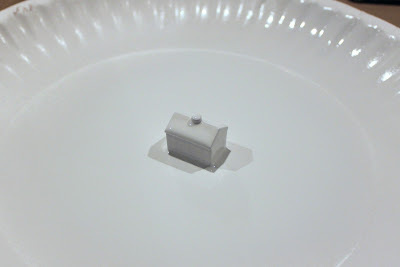 I spray painted my Monopoly Hotel with white spray paint and allowed it to dry. You could also paint them with gesso or acrylic paint, however I recommend sanding them a bit to give them a "tooth". 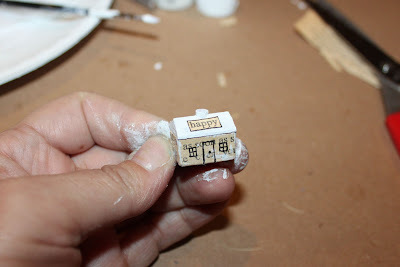 I wrapped the base of the Hotel with a strip of vintage text and added the word "happy". I added some details with a fine black micron pen. 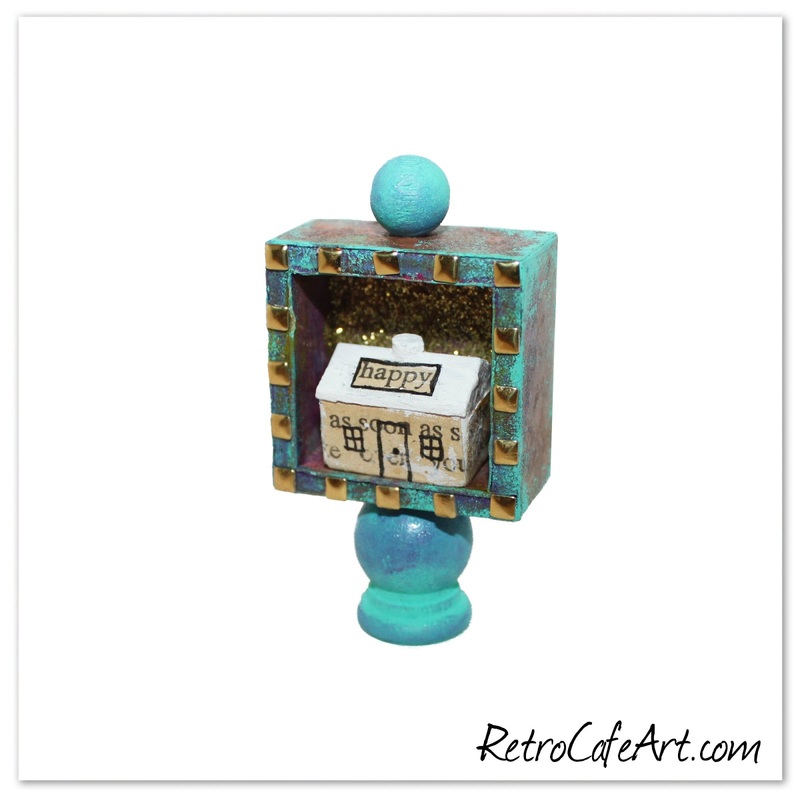 I loved working with this Tiny Shrine! I can't wait to try out the others! 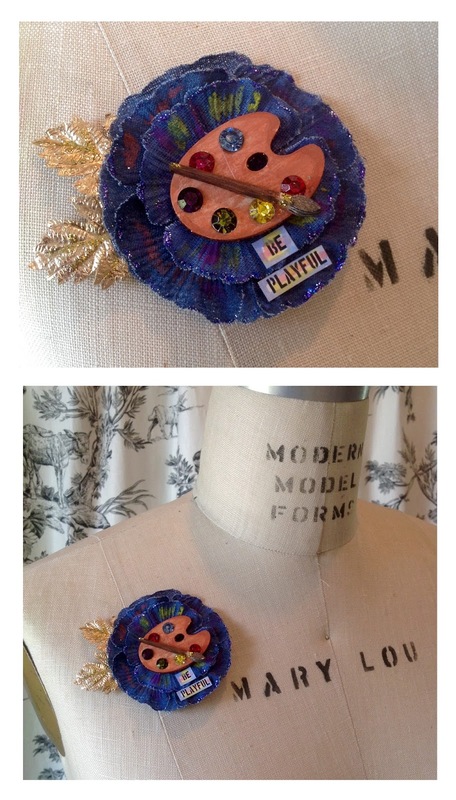 "Be Playful", a stunning artist brooch by Design Team Member Gerri Herbst! We especially adore the rhinestones she used to represent the paint. Fabulous idea Gerri! A fantastic Bust Stand Up by Diana Darden! We love the theme and color scheme. Beautiful Diana! 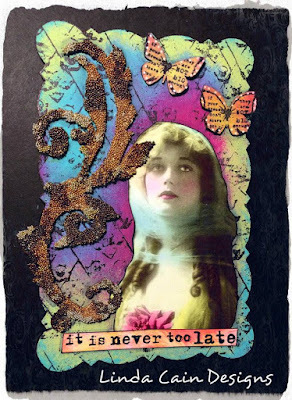 Inspiration By Mary Jane Chadbourne! An incredible Art Doll by Mary Jane Chadbourne! We adore the bright, bold colors and amazing textures often seen in Mary Jane's fantastic work. She's gorgeous Mary Jane! 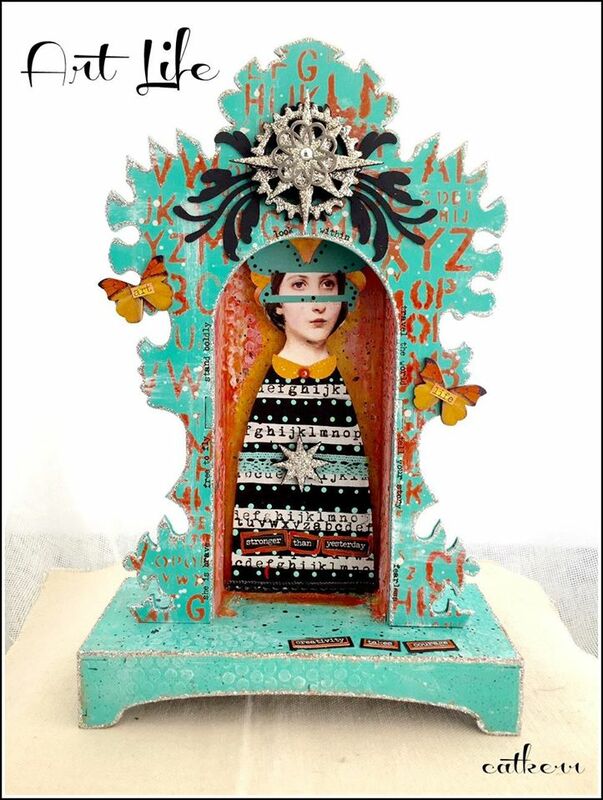 A gorgeous little Framed Shrine by Design Team Member Amy Nieman! We love the paint finish on the frame and the sweet mushrooms. Beautiful Amy! Happy weekend everyone! We have some wonderful new goodies in the shop. 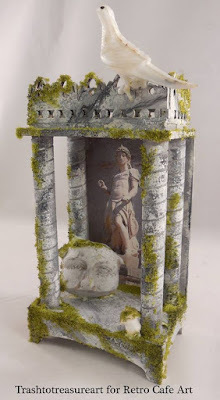 Of course the stunning Divine Antiquity Shrine is my favorite! It's large, and gorgeous! We also have lots of cool vintage items, brass, and more! Grab it up while you can! 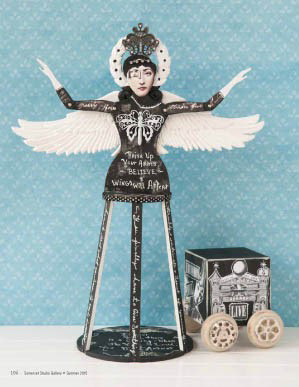 Art Time with Linda Cain! 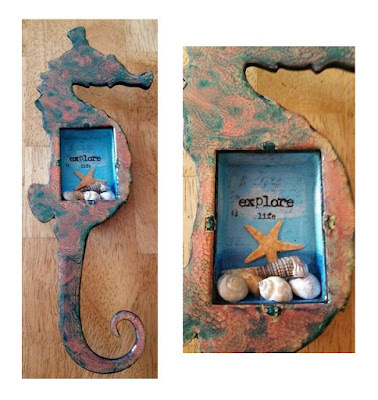 A beautiful Seahorse Shrine by Tracy Delisle! We love the painted sky niche and of course the fabulous texture. So cool Tracy! "Gentle Soul", a stunning mixed media art pendant by Design Team Member Cat Kerr! 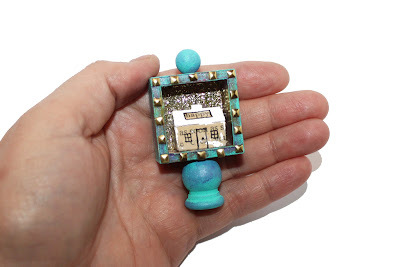 So many gorgeous details packed inside this small piece! Beautiful Cat! 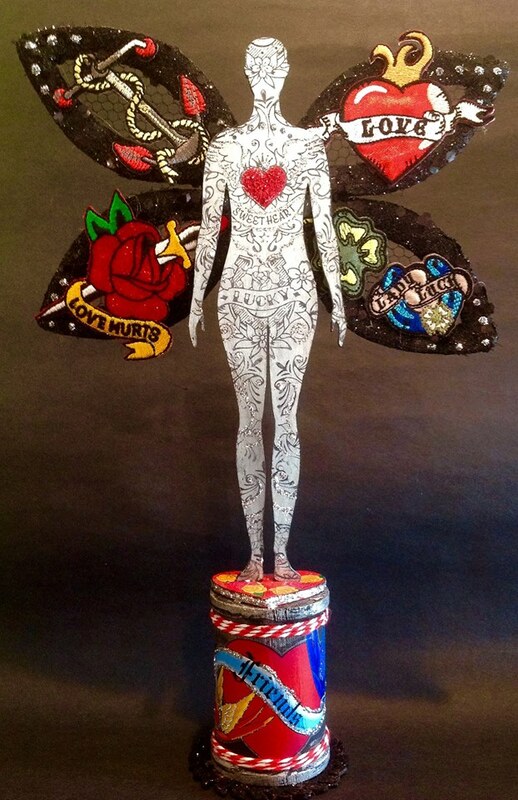 A huge congrats to artist Kim Collister! 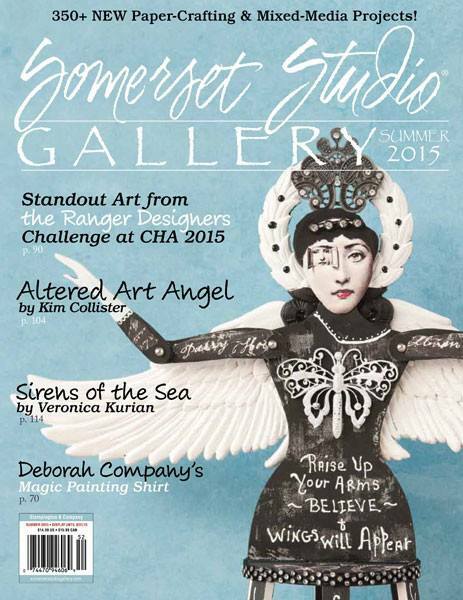 Her stunning Santos Cage Doll is on the cover of the current Somerset Studio Gallery magazine! Her article is fantastic too. Go out and get your copy. Awesome job Kim! Happy weekend everyone! 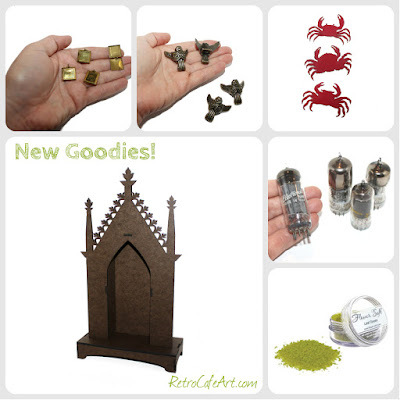 We have some fantastic new goodies in the shop. 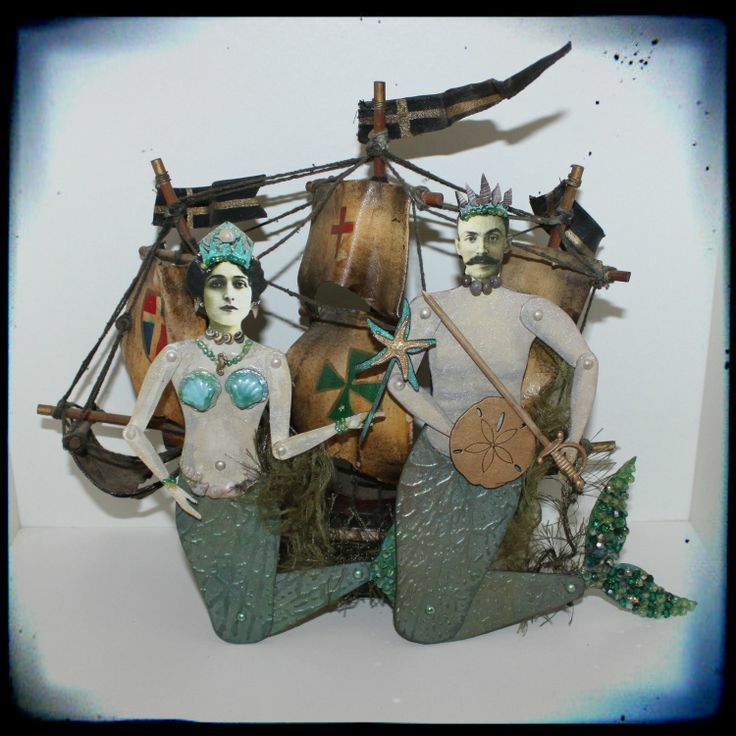 Of course I'm completely loving the new Sea Maiden Art Doll Kit! Totally cool and unique! And that colorful coral is swoon worthy! Grab it up while you can! Art Time with Kim Collister! 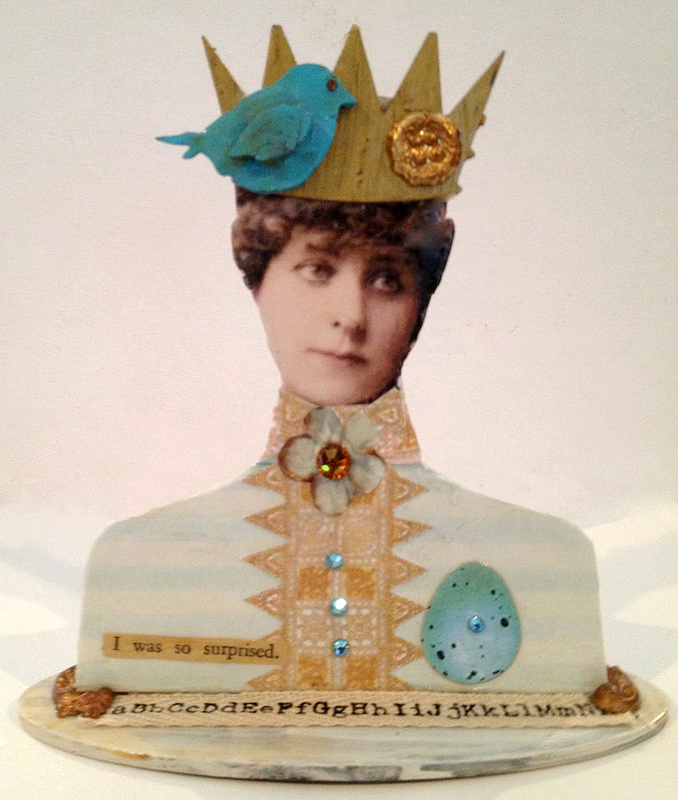 A "Love Bird" by Design Team Member Gerri Herbst! 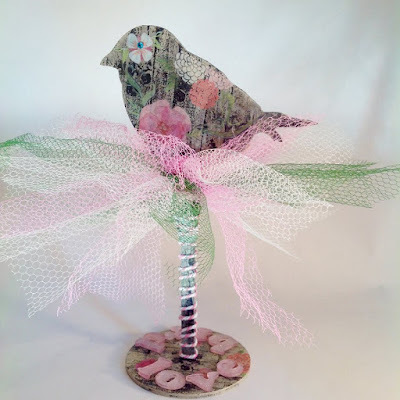 How sweet is that tulle! 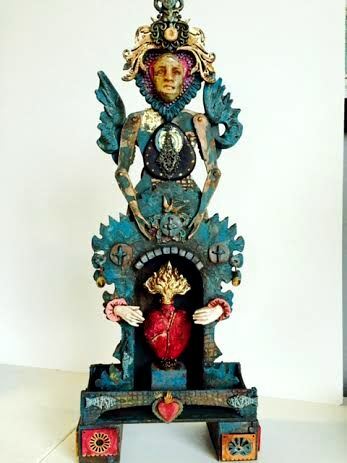 A stunning altar shrine by Design Team Member Lynn Stevens! 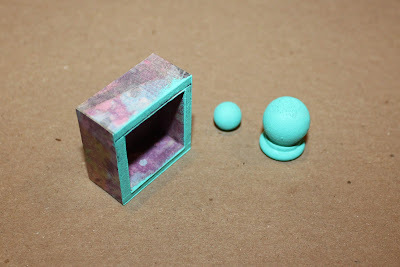 We love how she painted the shrine to look like marble! 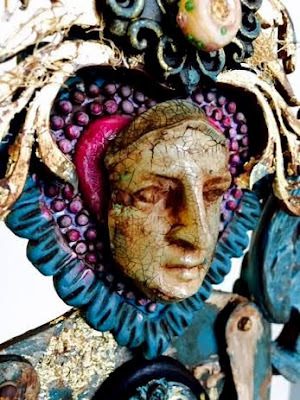 What a fabulous ancient look Lynn! 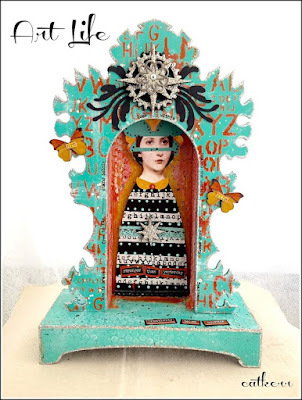 A gorgeous, colorful, creative House Shrine by Design Team Member Amy Nieman! Completely awesome at every angle Amy! Check out our Mermaid Swap photos from last year for INCREDIBLE beachy inspiration! 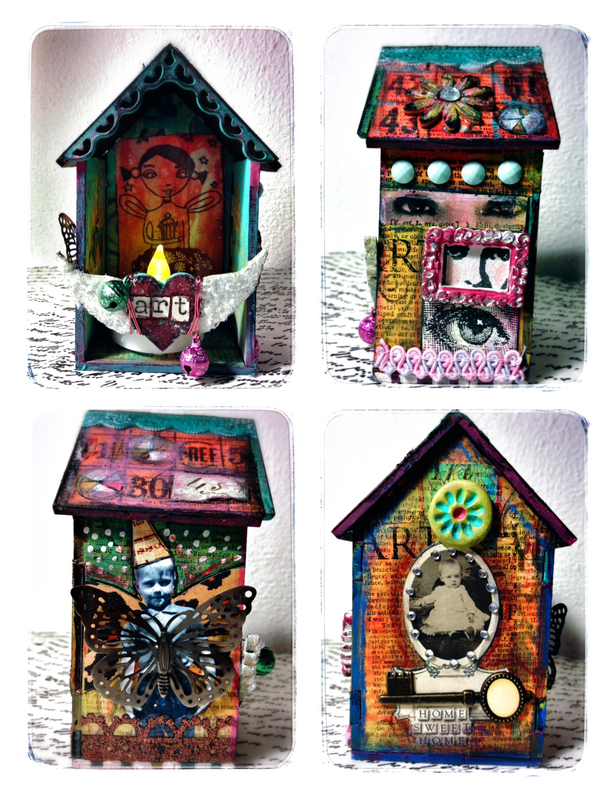 You can find the gallery on Facebook and on Pinterest! So much talent!! !